The simplicity of the colour scheme is very interesting and it draws your attention to it more than if it was covered in colour. The main image is of a black heart with ink (?) dripping down at the bottom- with minimal detail. This is situated in the middle of the advert which is the main focal point. 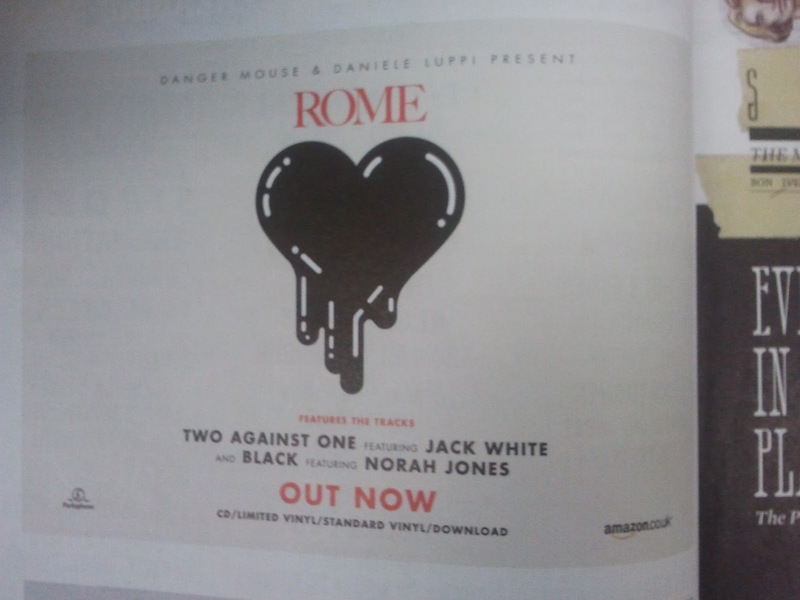 The serif font 'Rome' is particularly interesting as it is different from the rest of the sans serif font making it unique to the artist and will relate to the album being released, which shows there will be some connection. 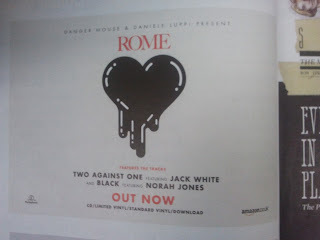 The rest of the text is sans serif and certain phrases such as 'Out now, Rome' in the colour red, which stands out from the rest of the advert, which contrasts and works really well with the black and white. There is an instant visual to the album cover on the advert, named 'There is a way' with the advert background matching the text on the album, and the advert text contrasting the same white as the album background. The two contrast really well and they do not take the value out of each other. 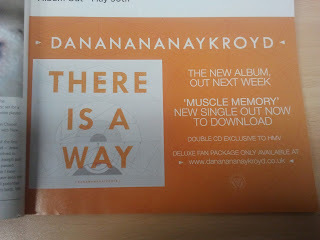 The album is split into proportional thirds, each with one or two words in. Each third has a pattern emerged into it in a light grey colour with similar patterns in a darker orange scribed into the advert background instantly showing audience recognition between the two. The band names seem to be in capitals in all of the adverts I have looked at, perhaps to grab the attention of the audience as it will be the first thing they look at, and if they have heard of the band, they may buy the album in the shop.